Lake Rotoiti dawn. Nelson Lakes National Park. 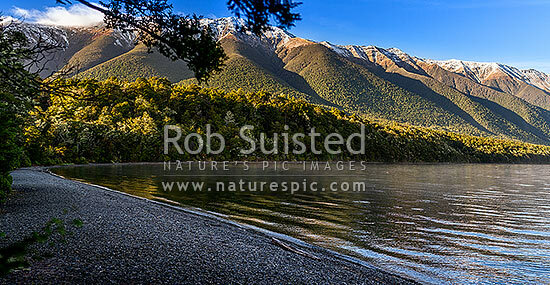 St Arnaud Range above Kerr Bay, St Arnaud, Tasman District, Tasman Region, New Zealand (NZ), stock photo.